that sits on the horizon in the east? but, captivated, still left everything to follow this one Light. that flares across the sky in westward trace? who seek mysteries yet unilluminated. Once every year, away from your dark mountain? Your face is veiled, my Lady, and I cannot see an end to night. Brought out in dazzling colours to streets that never sat in sacred dark. And beyond, illuminating the eternal flame. And what does this child mean, who blazes in the midst of it? You are not the Light to kill this darkness. The calm within the storm of it. The long walk to the dawn of it. (though he that drowns may find you in the final wave). (will not redeem us from the monsters that we have become). You are the Mystery it carries in its heart. …And yet there is this Star. (although soon smouldering and all burnt out). and sit in celestial rays. In the seeking there will still be Light. and it will always call me back to you. shut out from Solstice dawn and Beltane fire. but your labyrinth path into the heart of it. when I have had enough of Light. It was Lammas at Druid Camp. Alone, I would usually choose to celebrate Lughnasadh – the festival of Tailtu who created agriculture, of Lugh who prevents the death of the crops and brings the harvest. Summer games and competition and high-energy feats of challenge and pride, in honour of a proud, accomplished god. But we were together, and it was Lammas. 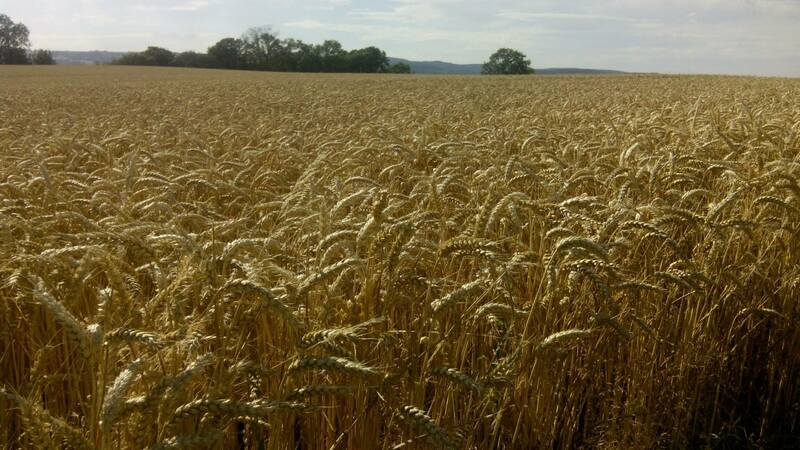 The wheat of the Lammas harvest that we were surrounded by at Druid Camp. Photo by Pawl Rouselle. 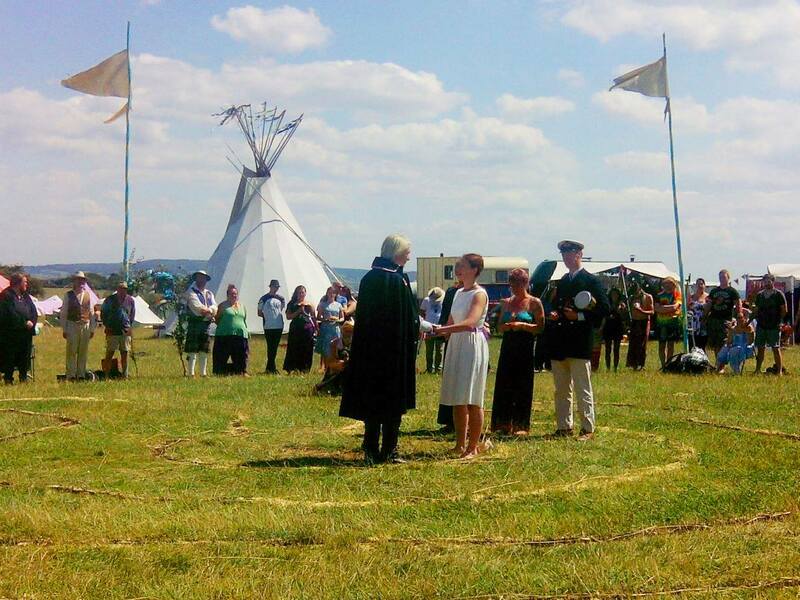 Community-witnessed handfasting at Druid Camp. Photo by Pawl Rouselle. Druidry is very much a community-based tradition. If alone I am a Gaelic polytheist with Brythonic leanings, together with these friends I am a Druid in a community of Druids. And only communities can reap a good harvest. And I thought back to two weeks before, in Ireland with my mother and grandmother, spending most of our time with cousins and other family. 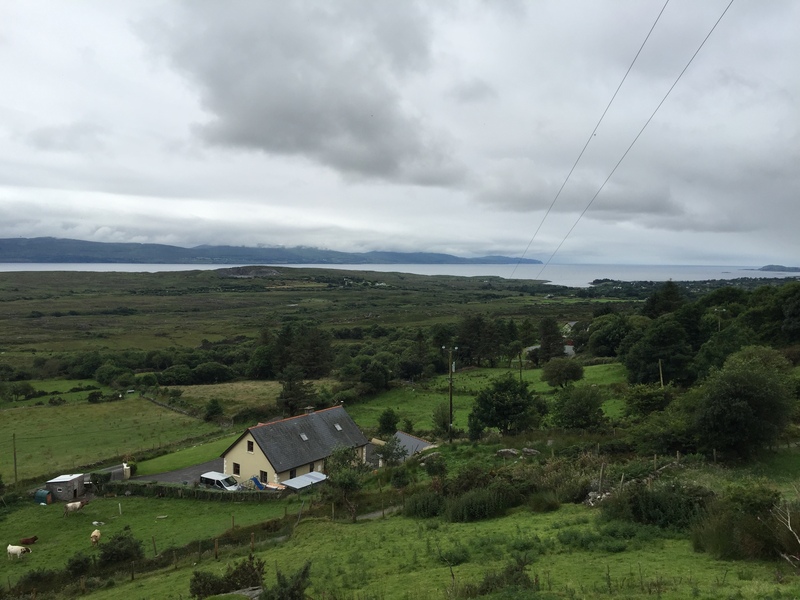 I didn’t get much time with the land, with Beara. I did more important things. My harvest was community. The view across the hills and down to the sea from the vantage point of my family farmhouse, dating back to my great-grandparents and still at the centre of a small farm worked by my cousins. Beara Peninsula. I return to posts from American Pagans about rejecting Lughnasadh (by which, in this case, the writer actually means Lammas) because “most Pagans live in the US” (EXCUSE ME?! ), the assertion from some corners that modern polytheism is better than modern Paganism, and other culturally imperialist rubbish that starts to bring me down. British Paganism and British Druidry are a minority voice online. Most Americans don’t know about the beautifully non-hierarchical, deeply rooted-in-our-land, strongly community-focused practice that draws from many streams of modern Paganism and other spiritualities that is modern British druidry. The loud voices shouting about their recent conferences, and whose hotel was better, know nothing about the week we spent in a field, overlooking the river of Sabrina and the ancient barrows across the hill, surrounded by sheep, having to build our own community from the ground up (and make it accessible to as many people as possible! ), where the success is all the sweeter for how every person contributes in their own way. They don’t know about the talent (that Eisteddfod! ), the strength, the love, the mutual acceptance and help and support, the critical thought, and the plain hard work that can bring 200+ very diverse druids together in a field and have them, by the end, become a coherent spiritual community complete with regular dramatic rituals and dances and fires and drinking of mead and telling of stories. So many stories. 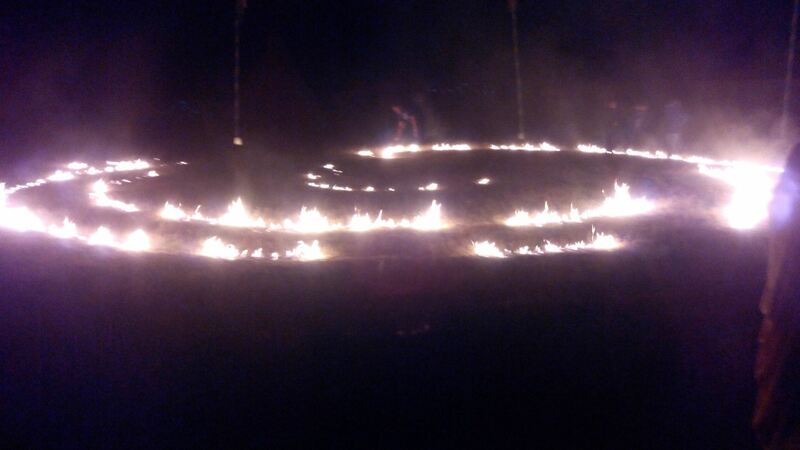 Flaming labyrinth at Druid Camp. Photo by Pawl Rouselle. And that started me thinking about stories, and how the One Reality we all inhabit can be so very different from so many different perspectives. “We don’t need Lughnasadh,” announces someone who sees one side of the story. On the other side of the world, Lammas is the theme for 200 druids in a field surrounded by wheat. The sun at its height but showing the first signs of waning towards its long sleep. Our carefree summers making their way, like a slowly-winding labyrinth, towards Samhain and darkness and change. At the height of summer there is the seed of winter. At the height of life there is the seed of death. That’s what our harvest, here on this insignificant island where modern Paganism was birthed, is all about. And that’s what our very different stories are all about, too. “I was right, you know, and he was wrong.” Except that right and wrong are forever relative. As a friend of mine said today: “We are all scumbags. We are all saints.” We may want to play the innocent hurt victim or the evil villain – depending on where our self-esteem might be today – but these are stereotypes, archetypes that aren’t useful beyond a certain point. I don’t worship the Maiden, the Mother and the Crone, because these are useful illustrative archetypes, but not necessarily the stories by which I want to live my life. I am neither the villain nor the victim. I am neither the Druid nor the Christian. I am neither the daughter nor the wife. I am neither the sociologist nor the poet nor the seer nor the Gaelic polytheist nor the Pagan nor the wheelchair user nor the stranger nor the friend. I am all these things and more. Truth is bigger than we can imagine. I am the universe emerging into consciousness, beginning to understand itself. (To slightly misquote Babylon 5.) And how much more am I than stereotypes and archetypes, as a result? I won’t reduce myself or others to one-dimensional pictures. I am stardust, as complex as the winds and as simple as the rain, the sacred legacy of my ancestors, the sacred ancestor of those who come after me. This is the harvest that I reap. Happy Lughnasadh. Happy Lammas. May summer and harvest festivals be celebrated forever, the wisdom of our forebears integrated into our new stories. We need the old and we need the new. We need all the sides of the story. I’m exploring the Sacred Story a lot in my spirituality at the moment. The power of stories and myths, both ancient and modern. Including the Christian Story. Since I suspect a lot of readers won’t want to be bothered with spirituality of that particular kind, I’m going to be talking about these things on a new blog. 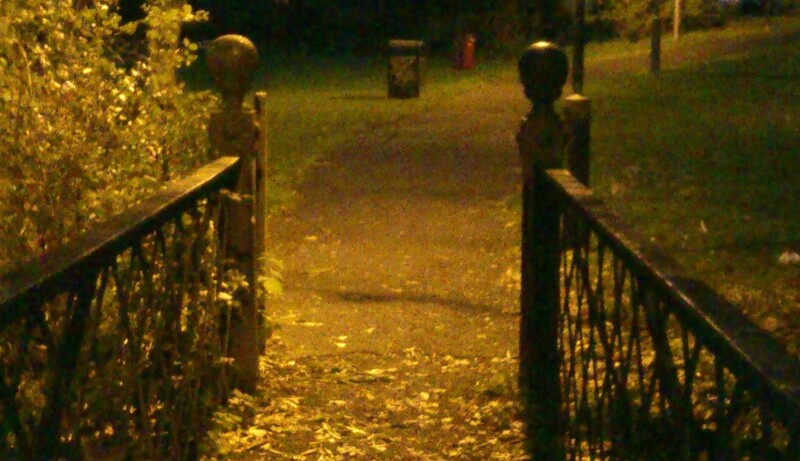 It’s called Lampposts and Other Light. Do feel free to follow me over there. Wishing you peace and a good day, my friends. Luke Eastwood, ‘A Druid’s Primer’. Moon Books, 2012. ISBN 1846947642. Eastwood has created a really interesting approach to modern druidry here. He’s done a lot of good research into histories of pagan practices, both ancient and modern. He then merges everything he’s learnt into a mix of existing and new philosophies and practices. 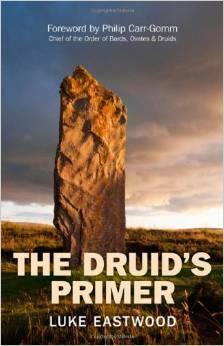 This is a good book for anyone fairly new to druidry who wants to be better informed about some of the sources we draw on, as well as for more established druids who want to try a new approach to mixing the old and the new. It’s a very Irish-focused book, which won’t be everyone’s cup of tea (though you won’t be surprised to hear that that worked well for me), but he does draw on British and other myths and folklore too. But the problem with separating books into ‘recommended’ and ‘not recommended’ categories is that most Pagan books have parts that I like and parts that I… don’t. This book is no exception. Overall, I really enjoyed it. But let’s get into the things that I didn’t enjoy. I’m getting really tired of books that repeat myths that we know are simply not true. First myth: Let’s address this once and for all, shall we? The snakes that St Patrick drove out of Ireland were NOT THE PAGANS. There is absolutely no evidence that anyone thought they were, until very recently. The first reference that I can find to this idea is in Marion Zimmer Bradley – from the 1980s. It’s a modern Pagan idea. And I really wish this particular myth would burn and die. Eastwood doesn’t endear himself to me by repeating it. Second myth, more problematic as it runs through the whole book: Modern Druidry is not ancient. Eastwood has a good grasp on the history of modern druidry, and that of ancient druidry (as far as we know anything about it). His problem is mixing the two up, believing the commonly-held view that modern Druids are the direct inheritors of the wisdom and knowledge of ancient druidry. And that’s not entirely his fault. This myth is everywhere, after all. OBOD has its own version, as do other druid orders. But it really is a myth. Modern druidry has very little to do with ancient druidry, other than basic inspiration – and everything to do with being a beautiful modern spirituality rooted in the old sacred earth that we could do worse than embracing as, well, modern. So now that I’ve started with the things I disliked about the book, let’s get into the good stuff – and there was quite a lot of it. For example, he has some great chapters that merge ancient myth with modern druid ideas, such as the light body exercise. He relates the modern sun and moon cycles celebrated by most modern druids, to ancient myths that contain echoes of cosmological and solar folklore – including the myth of the Dagda and Aengus at Bru na Boinne, and the story of the Mabon. The chapter on elements is largely based on the Western magical tradition, but mixes some Irish mythology in. His chapter on healing, with botanical information on herbs/plants and their mythical and folkloric uses, is a lovely addition that I didn’t expect to see, but enjoyed. My favourite chapter was on Ogham. This was a surprise, as I’ve done a lot of work with Ogham, using both new and old ideas on it, and I find that a lot of what’s written on it can be fairly terrible. But Eastwood’s extensive research really comes into its own here. He combines medieval and neo-Pagan sources on Ogham into a really lovely set of interpretations on each of the feda. He could have written a whole book on Ogham – as he says, he’s only had time here to skim the surface of all the sources, myths and ideas relating to it. If he does write more on the subject, I’ll read it! As long as you’re aware of the limitations, this is a really good book with some refreshing approaches to the modern druid way of drawing on the old while being rooted in the new. I’ll be using a lot of this book in my own practice. I am not a reconstructionist. There. I said it. I feel better now, I think. I was strongly drawn to reconstructionism in the beginning. It seems so academic. (The fact that most academics would find what reconstructionists do rather… inaccurate and confusing, is an entirely different issue.) It seems so clear. Got questions about a deity? The answers are out there, waiting to be uncovered by (usually amateur) archeologists/linguists/folklorists/mythicists. Except they aren’t. And I feel, increasingly, that this is not a way to do religion or spirituality. I hate hugging. Can we just start there? OK, and now that we’ve got that out of the way.